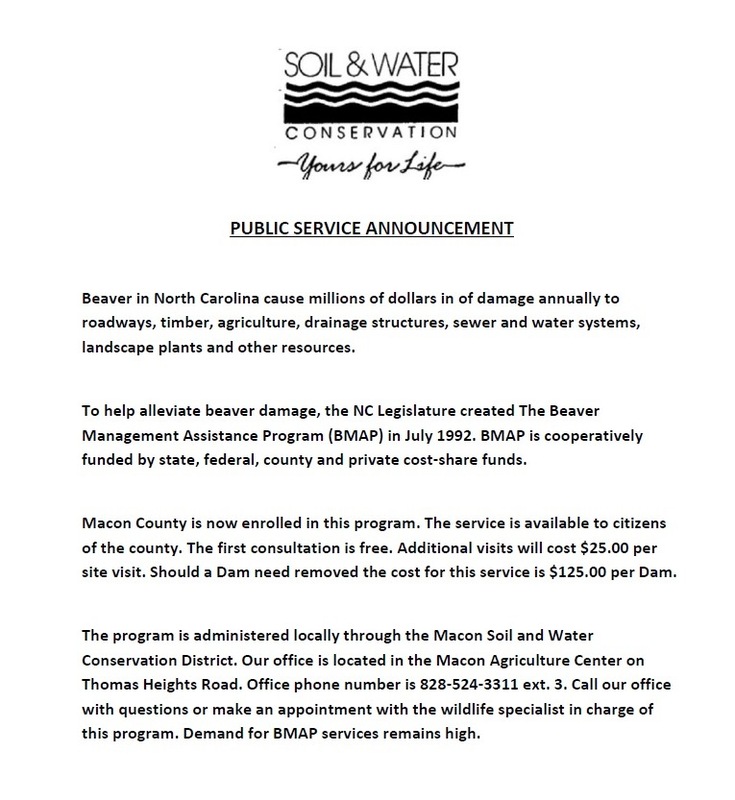 The Macon Soil and Water Conservation District is a subdivision of state and local government in partnership with federal government, which develops and oversees conservation programs to meet the needs of Macon County. This is accomplished by providing technical assistance and services to all landowners and land users, free conservation literature and educational programs that promote conservation. The five-member board of supervisors — three of whom are elected in the general election and two appointed by the Soil and Water Commission — are charged by North Carolina law with the responsibilities of promoting, planning and approving measures which will best conserve the natural resources of Macon County. In turn, the board of supervisors charges the three member staff, in partnership with Natural Resources Conservation Service, with implementing these measures. The board of supervisors meets the third Monday of each month at 6:30 pm in the District Office. All board meetings are open to the public; any changes to the schedule will be posted. 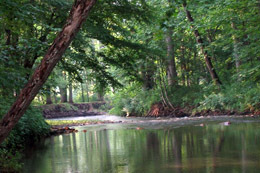 The mission of the Macon Soil and Water Conservation District is to cooperatively assist in the development and implementation of conservation programs that promote and encourage the wise management and use of soil and water resources for rural, urban, and agricultural lands of Macon County. The Macon Soil and Water Conservation District recently took ownership of a new Truax Flex II-88 No-Till Grass Drill. This grass seeder is available to farmers in Macon County in order to accelerate the renovation of pastures and hayland, which were devastated by the drought of 2006-2008, and to otherwise improve pastures which are in poor condition. The drill was obtained through a grant provided by the North Carolina Foundation for Soil and Water Conservation Inc. Oversight, maintenance and rental of the seeder will be administered through the Macon County Rural Development Panel. This panel is made up of local representatives of various county, state and federal agencies. Landowners will be charged $10 per acre seeded. This money goes toward maintenance and upkeep of the machine. Also available - Lime Spreader & Weed Wiper. For further information or to schedule rental of the seeder, contact the Macon Soil and Water Conservation District or the USDA Farm Service Agency, both located in the Agricultural Services Building (old Macon County Health Department building) on Thomas Heights Road or call (828) 524-3311.